The Port of Ngqura is the first port in the world to have a fixed embedded jet pump sand bypass. The sand bypass is designed to mimic the natural long shore drift of sand along the coast of South Africa. This is achieved by pumping the sand from the updrift (west) section of the coast to the downdrift (east) section of the coast. Port Elizabeth -Transnet National Ports Authority (TNPA) says the Port of Ngqura, the first port in the world to have a fixed jet pump sand bypass system, is meeting its stringent dredging targets of 240,000 tonnes of sand per year, after successfully overcoming challenges. “This is an achievement as we are complying with the Record of Decision (environmental legislation) which stipulated the strict conditions to be adhered to in the development of a port of this nature in an environmentally sensitive area,” said Mandilakhe Mdodana, Environmental Manager for the Port of Ngqura. 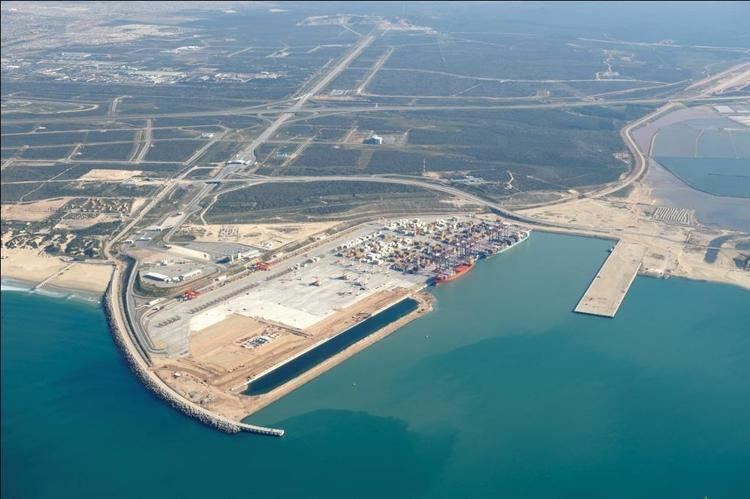 “The Port of Ngqura is the only port in South Africa to have a Record of Decision for its construction and operation. This means that it is the only port that was subjected to environmental legislation during its entire development, operation and will be during its future development,” Mdodana said. This computer-controlled sand bypass system consists of jet pumps which mimic the natural longshore drift of sand along the coast. This is achieved by pumping the sand from the up drift (west) section of the coast to the down drift (east) section of the coast. Sand is captured in a sand trap and pumped via pipelines to a discharge point on the opposite end of the port. Both capturing and discharging occur in the wave zones. The annual net longshore transport rate within Algoa Bay varies from 240,000 to 320,000 tonnes per year. This is the average quantity of sand required to be bypassed by the system annually. Failure to bypass and achieve a minimum volume of 240 000 tonnes per annum could result in a fine of about R10 million. “The system requires a rigid maintenance programme which keeps it going 24 hours a day, seven days a week. The port had to develop and refine maintenance-, standby- and recovery plans in time to counteract the temporary shortfall as part of a continuous improvement process. This included making provision for unplanned maintenance, daily planning and scheduling and improving maintenance techniques - all remaining within budget,” said Freddie Melikhaya, Mechanical Engineering Technician, leading the sand bypass team. In simple terms the system is a “fixed dredger” which operates cost-effectively when compared to a mechanical dredger. Dredging is a crucial aspect of ensuring that vessels can enter and exit our ports safely. 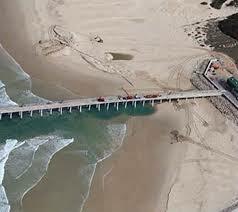 It helps to halt beach erosion and sand build-up in the ports. This assists with navigation, flood control, coastal development, mining and environment management. Dredging targets for other ports include for example Richards Bay which must dredge 1.3 million tonnes per annum due to its size, Durban at 500 000 tonnes per annum and Port Elizabeth at 130 000 tonnes per annum. TNPA’s Dredging Services department is implementing an investment programme in excess of R2 billion to renew its fleet which aids the removal of approximately four million cubic metres of excess material from the seabed every year at South African ports.